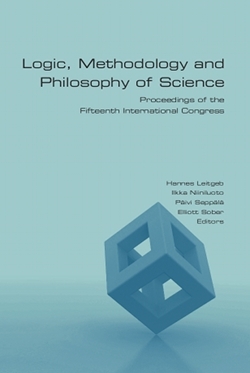 This volume contains papers based on invited letures from the 15th Intenational Congress of Logic, Methodology and Philosophy of Science (CLMPS 2015) in Helsinki, Finland, on August 3-8, 2015. The papers deal with state-of-the-art questions of mathematical and philosophical lgoic, general philosophy of science as well as philosophical and methodological issues related to particular sciences. The volume also contains invited papers on the congress theme Models and Modelling and the thee special invited sessions: International Union of History and Philosophy of Science Joint Commission session, International Council for Science (ICSU) special session: Future Earth and Models and Empirical Philosophy: A Session in Honor of Patrick Suppes.